Vegan in Bellingham: The Racket Bar & Pinball Lounge: 1220 N. State St. The Racket Bar & Pinball Lounge: 1220 N. State St. 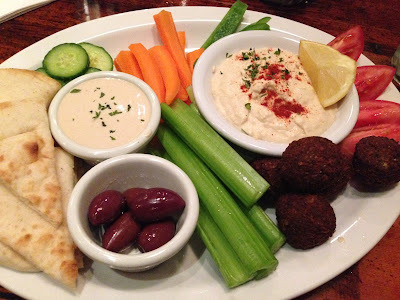 The Racket makes a fabulous vegan falafel and also a hummus platter, and both are really tasty. The atmosphere of The Racket is really fun and this is one of my favorite spots to grab a drink and something yummy to eat. 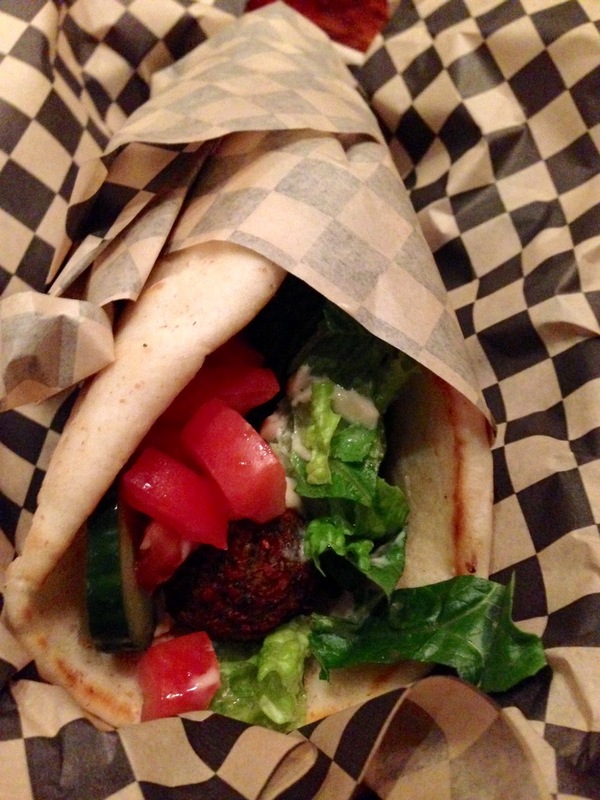 The falafel is made from scratch and most of the time tastes amazing. When the seasoning is right and it has enough parsley, not too much garlic, and is cooked so that the outside is crispy, it can't be beat. Likewise, when the tahini is good, it's really good and creamy, although consistency can be an issue and sometimes it is a little runny. I keep going back though in the hopes that I will hit it just right and have another amazing dish, and I am thankful for vegan options at The Racket! Thank you so much for your suggestion! I had just popped on your blog to get the name of the Indian restaurant in Ferndale and saw the Racket and those delicious falafel. Went yesterday afternoon and we have found a new "favorite" place in Bellingham.